We all have limited minutes to accomplish all the demands on our time. Clearly, we need to be strategic while questioning what we’re doing during our busy schedules. Social media comes down to our return on investment. Not necessarily monetary investment; but our time too! It is important and takes time, but if it’s not successful, why continue? Having a regular, established process so it can be tweaked and improved. Be realistic about who will be involved with the posting and monitoring and how much time it’ll take. Know what you’re trying to accomplish. Social Media can do 4 things: Enlarge reach, drive traffic, attract leads, and engage visitors. Be realistic about your goals. Not Entertaining; Only Informative. Great social engagement holds the attention of an audience. Stop bombarding your community with information; instead, let the majority of your posts be entertaining and engaging. 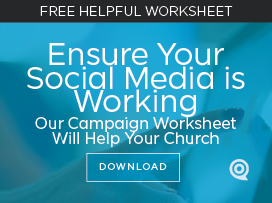 Churches love to use social media as an advertising tool. No one tunes into a TV channel for only commercials. They want a good show! No Images; Just Long Text. Research shows that images attract interest. Think short when it comes to posts (follow twitter limits of 140 characters even for Facebook), and consider the image that should be included (make the size of it based on the platform reuqirements). Ensure it corresponds with the interests and age of your community and it works within the mobile platform of the social media you’re using. Most are viewing on mobile! Not Sharable; Too Internal. Be careful that posts are not too directed to your internal congregation because they’ll rarely be shared to their friends. Facebook limits circulation of your posts to about 1/8th of your page followers. If you get someone to share your post, it raises the amount of views exponentially. People rarely share an internal-style message, but they will share educational and entertaining content. 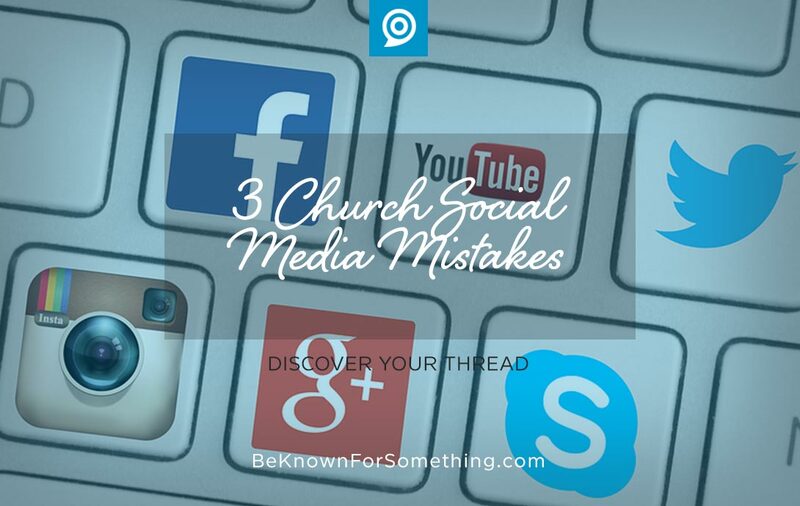 Your church congregation is “meeting” regularly on social media (Facebook, Twitter, Instagram, Pinterest, etc) — be there for them, meet them where they’re at, and engage with them. Listen and respond all the time!